The next stage in the evolution of Xperia flagship is the latest product from Sony i.e. 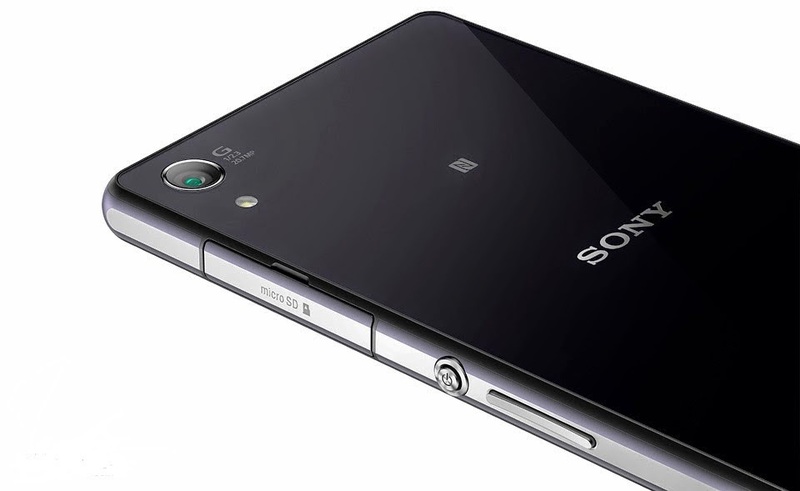 Sony Xperia Z2,which looks quite interesting from all points of view like the iron shell, operating system, camera etc. The Xperia Z flagship got started with the release of Sony Xperia Z, in the year 2013 and was a huge hit in the market and marked a milestone in the success journey of Sony. Sony is seeing its future in this smartphone flagship and is really investing a lot to make the Xperia Z series smartphones best in the smartphone arena. This smartphone looks very large, larger than the other top-class devices this year like Samsung or HTC smartphones, but does not feel the massiveness. Pretty neat device in your hand and almost all controls are pretty easy to reach. With displays Sony also finally figured out now that it's normal IPS screen with good viewing angles and excellent colour rendering is very good. Many are pleased with the absence of films both at the front and at the rear side. The overall display of Xperia Z2 is quite nice and much better than Xperia Z.
Sony has always produced good camera in its smartphones and the camera in Xperia Z2 is also very good, with recording a video in 4K, the mass of the manual settings and branded augmented reality effects when taking pictures of course are present. But the noise in the image or jerks or unstable moments when there are no videos in almost any conditions is also a significant plus in favour of the camera of this smartphone. The processor in Xperia Z2 is quote powerful as it is in almost all the smartphones devices in the modern times. The processor of Sony Xperia Z2 is Qualcomm Snapdragon 801 which is quite awesome and very powerful. All Slots and Connectors in Sony Xperia Z2 have covered plugs that provides moisture protection at IP55/58 that protects against splashes and dives into the water till five feet for up to an hour. The waterproof technology of Xperia Z flagship is quite amazing and makes this smartphone series better than others. Much like the success of Xperia Z smartphones, there is another smartphone flagship from another giant in the smartphone world i.e. Samsung which has also tasted al lot of success. The Galaxy S series from Samsung is the toughest competitor for Xperia Z series from Sony. The recent launch the Galaxy S series is Samsung Galaxy S5 which again is a huge hit and has almost the same features that of Xperia Z2. With Xperia Z flagship will be seeing its new launch with Xperia Z3 sometime later this year, Samsung will launch its Galaxy S flagship successor with Samsung Galaxy S6. With the Galaxy S6 release date is expected to be in the early part of the next year, Sony is expected to launch Xperia Z3 just before it. So, get ready for the battle of two amazing smartphones, and see who will win, whether it will be Samsung Galaxy S6 or Sony Xperia Z3. A device from Sony has once again turned out quite interesting. Sony has removed the old cons (such as films or strange quality displays) and did not add any new ones. If you choose the flagship of spring 2014? Be sure to take a look at Sony Xperia Z2 as we found it quite interesting and competitive. Sony is putting a lot of efforts in this smartphone flagship and is expected to come up with a sensational smartphone, Sony Xperia Z3 in the later year.